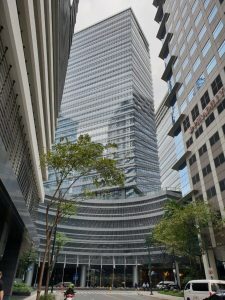 Asia Yachting is thrilled to announce the opening of our new office In the Philippines – located in the financial and lifestyle district at Net Park, 5th Avenue, Bonifacio Global City. Over recent years, Asia and specifically, Southeast Asia, has rapidly become a major yachting hub. The setting up of Asia Yachting Philippines office is a strategic move to grow and strengthen Asia Yachting business in Asia. Asia Yachting Philippines is proud to be the exclusive dealer of Fountaine Pajot catamarans as well as other world-class boating brands: Monte Carlo Yachts, Prestige, Nautique, and Scarab. The office is managed by our Sales Director in the Philippines, Miss. Bianca Jison, who brings with her 11 years of marine industry knowledge and experience. As we enter into 2019, here’s wishing Asia Yachting Philippines plain sailing ahead!